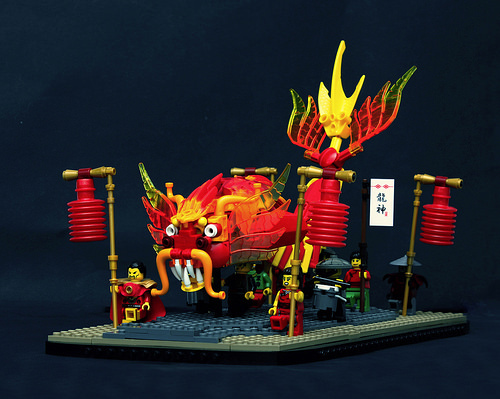 Finnish builder Eero Okkonen admits that he’s not sure why he built this Chinese dragon dance scene (several months after the Lunar New Year), but I for one am very glad he did. With stellar use of transparent Bionicle flame pieces and a Ninjago “Dragon God” banner tile, I can almost hear the firecrackers and smell the smoke. You can read more from the builder himself on his blog, Cyclopic Bricks.